During Arc System Works’ ArcNama stream last night, the developer showed off the fourth character introduction trailer for BlazBlue Cross Tag Battle, showing off a new set of characters for the upcoming crossover fighting game. Similar to the previous three trailers, it reveals three new characters for the game. The new trailer features Under Night In-Birth’s Gordeau, Persona 4’s Yukiko Amagi, and BlazBlue’s Azrael. 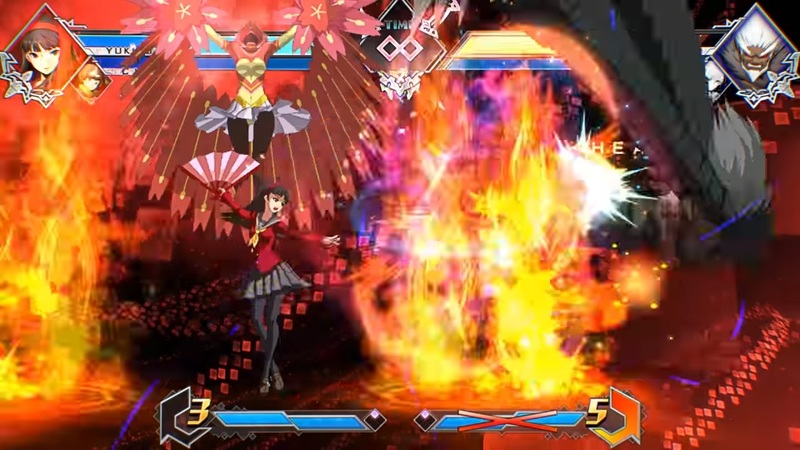 Those who have been following the game closely will notice a host of small UI changes in the trailer, such as slight changes to the design of the cross and special meters, a large “CHANGE!” icon that appears when switching characters, and the background during Distortion skills being changed from blue to red. In addition the game now has a blinking red “DANGER” icon that appears when the active character’s health drops too low, and the maximum amount of special meter has been increased from 3 to 5. Unfortunately the trailer on YouTube doesn’t indicate when the next set of reveals will come, but the Japanese version shown off during the livestream suggested that it will be coming sometime in December. However, the phrasing in both versions is strange, possibly hinting at the trailer coming earlier than the past ones. If not, there’s always next month’s ArcNama stream, like the first, third and fourth trailers. In any case it seems like BlazBlue Cross Tag Battle character reveals are finally starting to get more interesting, so we can eagerly await the next set. BlazBlue Cross Tag Battle is set for release on PS4, Switch and Steam in 2018, and will be published by the newly-established Arc System Works America. Previous Post:Shoot up Zombies in your Pantsu School Girl / Zombie Hunter is Out Today!